Jeans are many things to many people, but they are not summer pants. Heavy and slow-to-dry, denim is best worn during the nine or so months of Canadian winter. 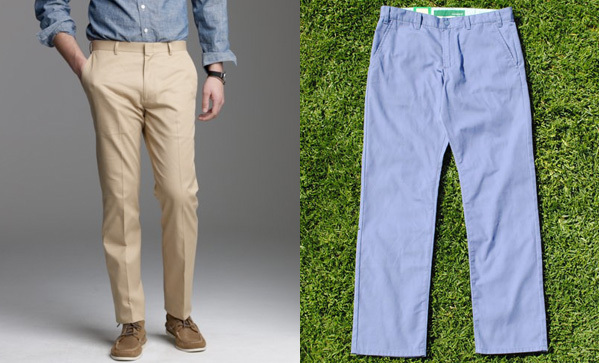 For summer, opt for lightweight, breathable pants in slim-fitting styles. But what is there beyond jeans? Slim-fitting may be trendy, but neither comfortable nor suited for really hot and humid weather. Any nice cotton-hemp or cotton-linen blend baggy pants will always be my first choice, and damn the trend. Canadian made pants with a $ 228. U.S. price tag ?